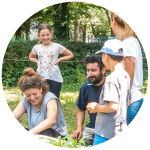 This Spring, in Mitrovica, GAIA and friends will organize a youth exchange about urban permaculture, with the focus on gardening and food production. The Youth Exchange will gather 25 young people from Croatia, Albania, Serbia, Bulgaria and Kosovo, what means that this call is open only for young people who are residents of those countries (we are sorry for those who are not) and applying through organizations which are partners for this exchange: PVN Albania, VCV Serbia, VUK Croatia, CVS Bulgaria and GAIA Kosovo. It will take place from 25th of May until 2nd of June and will be organized in partnership with Down Syndrome Kosova in Mitrovica and the City Museum. Why permaculture? Permaculture is a design system that uses ecological principles, which can be applied to organisations, communities and economies to create a more harmonious and sustainable system of relationships. Based on the ethical foundation of care for the earth, care for the people and fair share, permaculture shows us a way, inspired by ecological understanding and principles, to create beneficial relationships and work with nature to regenerate and restore land, communities and our relationship to both. With learning about permaculture and gaining practical and theoretical knowledge about its principles and designing, which are inspired by natural systems, we can learn about social connections and ways of creating sustainable, resilient societies. Urban permaculture? Half humanity now live in cities and they have large ecological and human effects on the planet. So how can permaculture food production be applied to our towns and cities? 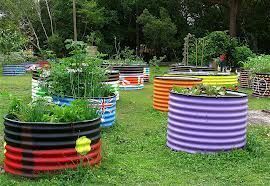 There are, in fact many techniques that allow urban dwellers to grow food the permaculture way. Using permaculture design principles, we can transform our garden, roof top or balcony into a sustainable food-producing garden. 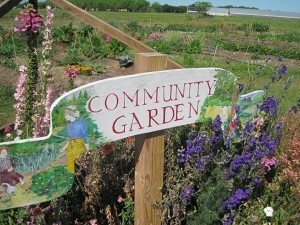 We can also share land and create community gardens or initiate community supported agriculture (CSA). What will be happening? 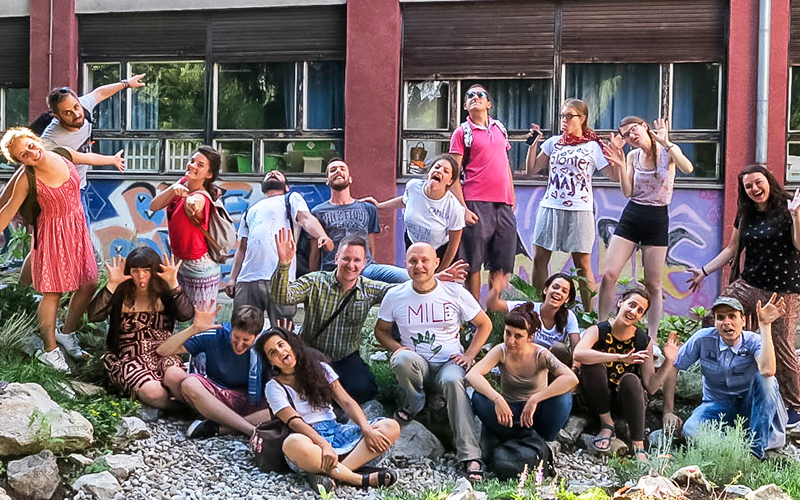 During this youth exchange we will explore possibilities for Mitrovica to develop urban garden and to include young people interested in environmental and social topics. We will do different workshops, games, discussions, movie projections, practical work in garden, visits to cultural and natural sites and so forth. Of course, we will learn and discuss about permaculture as well as local heritage, issues and exiting initiatives. We will also organize activities with the host organization and other partners in Mitrovica. Mitrovica is located in the North of Kosovo, with a population of around 100.000. The city is geographically divided by the Ibar River, into a Northern and Southern part, then also with a strong ethnic division as well. What are the conditions for participation? Each partner organization will choose 4 participants and 1 group leader who already took part in similar activities. Previous experience in international youth gatherings (exchanges, seminars, workcamps…) is not required nor advantage, but we expect that participants are: · interested in urban gardening, permaculture and social inclusion · willing to get prepared before the youth exchange · willing to live sustainably and in an international community · willing to be actively included and contribute · young between 18 and 30, while group leaders can be older than 30. Practicalities Accommodation and food will be covered through the project. We will be accommodated in Mitrovica South, in the house of Down Syndrome Kosova, which offers different educational and creative activities for people with Down Syndrome. Some of the activities will be organized with the friends from the host organization. Food will be traditional, seasonal and vegetarian. Travel costs (only environmentally friendly means of transport) will be reimbursed after ALL ORIGINAL tickets are received by GAIA. If you are interested to take part in this youth exchange, you should apply before 5th of April 2018. by sending you application form to communication@cvs-bg.org! The overall objective of the project “Inside Outside” is to rise the quality of youth work and promote the professionalism of youth work as well as to develop participants’ professional and personal competences for further work in the youth field. 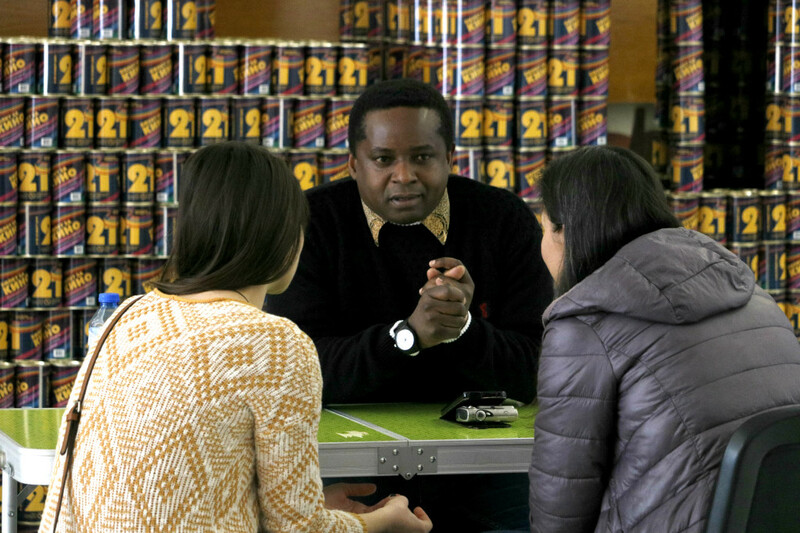 • To develop youth workers knowledge in the field of Emotional and Social intelligence. 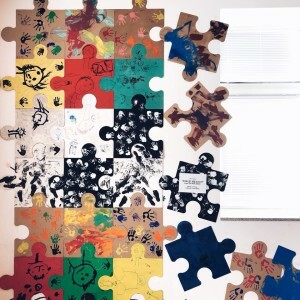 • To provide participants the opportunity to evaluate themselves as youth workers by Salto Resource Centre developed “The garden of learning competences” and provide support for setting personal goals. • To develop participants personal and professional competences using non-formal educational activities. • Share personal experiences about working with young people in the context of Emotional and Social intelligence and to share best practices about how they supporte youngsters. • Ensure the opportunity to share and learn new methods to work with young people on Emotional and Social intelligence, critical thinking, promoting active participation, social inclusion, etc. and to discuss how to better support, both individually and as a group, and especially young people with fewer opportunities, minorities, migrants and other socially excluded groups in order to prevent the radicalization of young people. • General contributions to improve the quality of youth work and cooperation among organizations in a European level. Transport costs: They will be reimbursed after the training upon giving providing all the documents and tickets. The maximum amount which will be reimbursed for Bulgarian participants is 275 EUR. Where: The training course will take part in two places – the first 5 days will be implemented in a guest house „Puduri”, Kemugs, which is 50 km away from Riga. The last day the activities will be in the youth centre ‘Bambuss‘ and the accommodation – in hotel „ Rixwell Irina”. More details about the profile of participants, a detailed program of the TC as well as information about the project team, you can find HERE! In order to apply, please fill in the application form till 30/05/2018! The Refugee Project is looking for new volunteers! 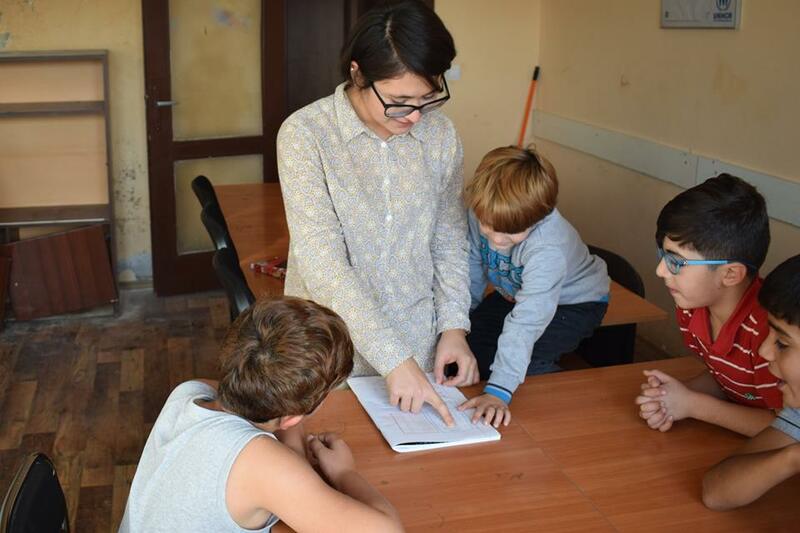 CVS – Bulgaria and Caritas Sofia are looking for VOLUNTEERS to work with kids, teenagers and adults as part of the Refugee Project in the reception centres in Ovcha Kupel, Voenna Rampa and Vrazhdebna at the State Agency for Refugees. 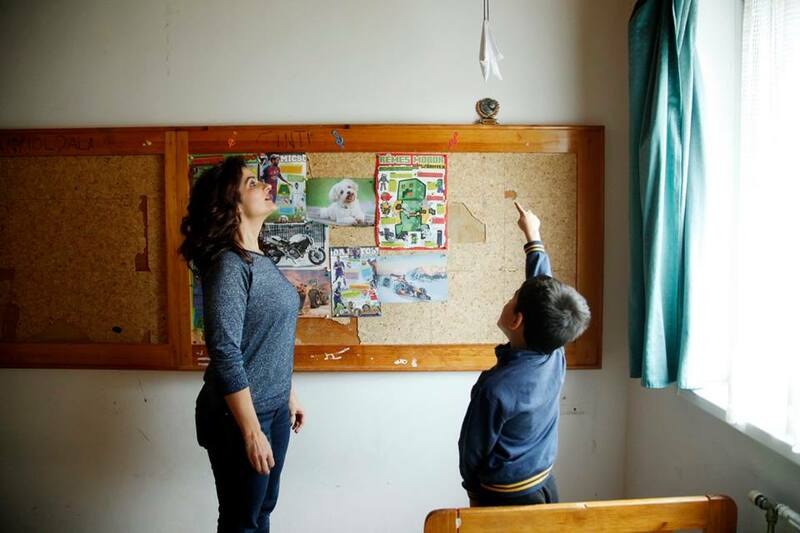 Every four months the Refugee Project recruits new volunteers and the time has come to start our activities again. 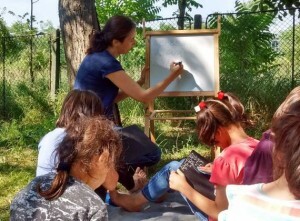 Volunteers engage in the preparation and implementation of educational activities for children and adults seeking international protection in Bulgaria in the following topics: Bulgarian and cultural orientation, English, Mathematics and Natural Sciences, Art, Music, Sport, extracurricular activities and visiting natural and historical landmarks. As a volunteer in the project you have an active role in the adaptation of the children, teenagers and adults who are in the reception centres for asylum seekers on the territory of Sofia, to the Bulgarian environment as a whole and in particular to the educational system in the country. You will actively support the project by participating in thematic interest groups, including fundraising and excursions committees. • Leading activities in: Bulgarian language and orientation, English language*, Mathematics, Art, Sports, etc. • Participation in organising and conducting extra-curricular activities: excursions, participation in events and tournaments, visits to museums, theatres, cinemas, etc. • 2+ hours per week, depending on your availability. * Knowledge of English is not mandatory for all candidates but only for those who would like to join the English teaching group. • Knowledge of Arabic and /or Farsi would be useful; Other languages are a plus. Duration: 12 March, 2018 – June 30, 2018, with interest and satisfaction on both sides, the duration of work may be extended. 12th March – scheduled start of the activities. • Periodic trainings; interim and final evaluation of the project. Posted by Atanaska at 17:40 Volunteer activities Comments Off on The Refugee Project is looking for new volunteers! Become a part of our School Gardens team! 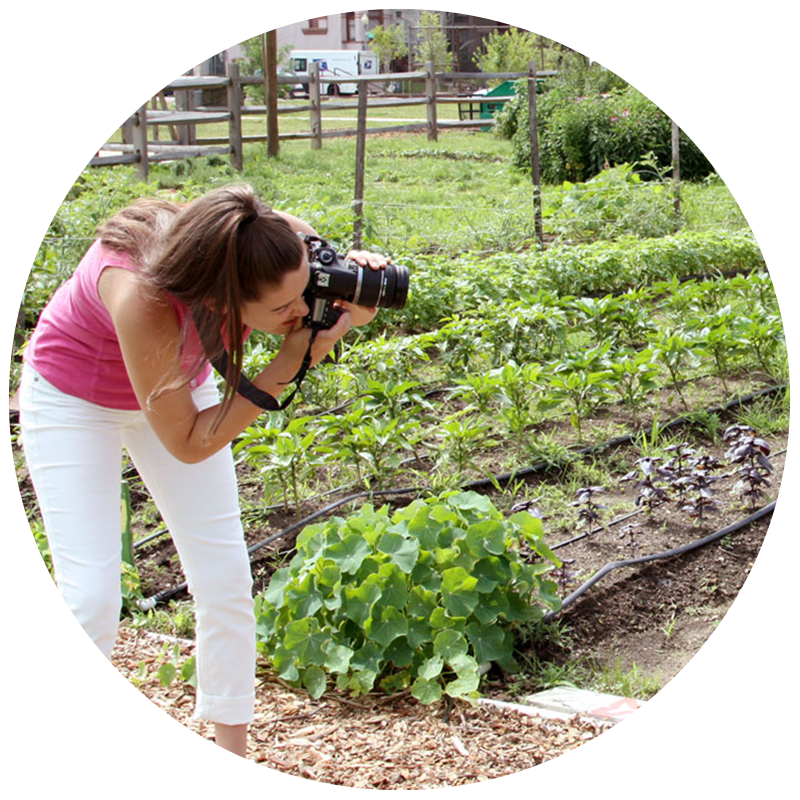 Learn about sustainable gardening, working with children, photography & video production! 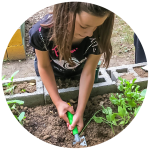 The “Green Fingers – Oasis for children” is an EVS project that will bring together 1 long term and 12 short term volunteers in Zagreb and engage them in maintaining urban school gardens together with around 2000 children and teachers in 3 Primary schools in Zagreb, Croatia. to put into practice principles of non-formal education with children and young people about environment protection and sustainability, by practical means that will give them the knowledge and skills to apply it the future on their own and share with others. Why to apply for our EVS? Become a part of our happy international team! Enjoy working with people who love their job in a relaxed, supporting and professional atmosphere. 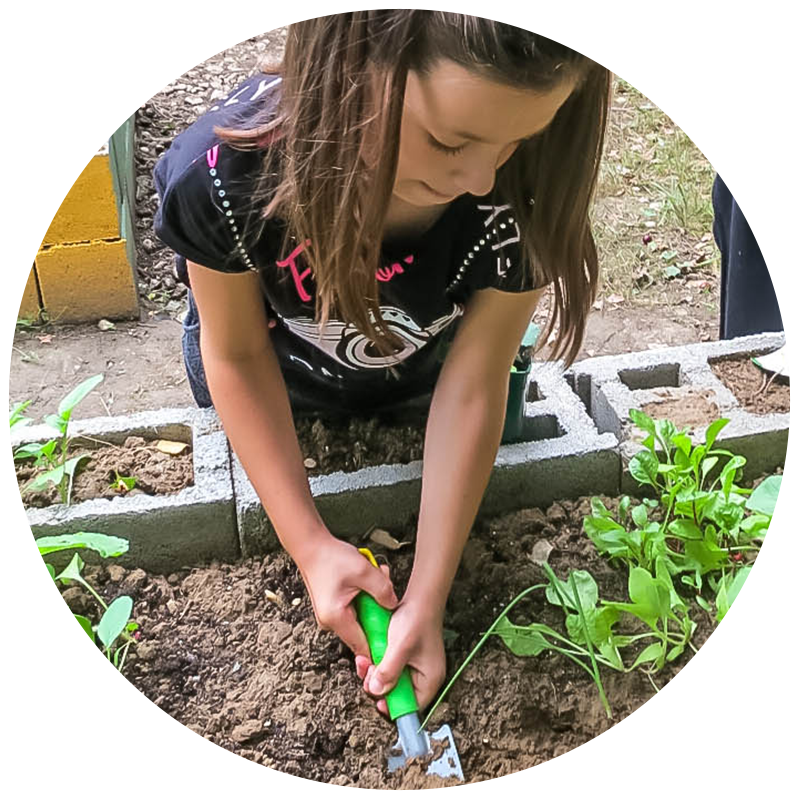 Learn how to work with children with creative, innovative and non-formal tools in a classroom kids like the most: the school garden! 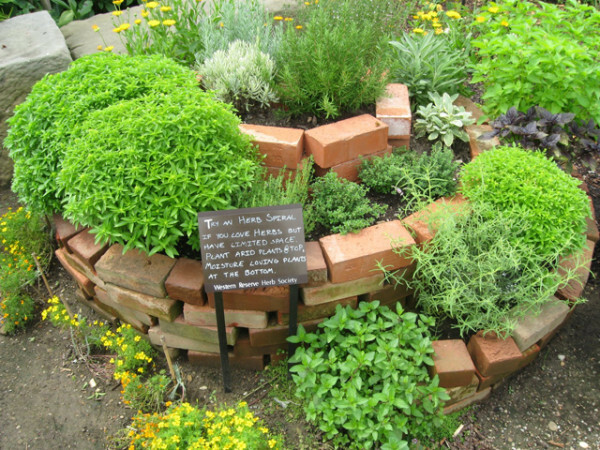 Learn the basics of organic urban gardening and how to inspire children (and yourself!) for sustainable actions and healthier lifestyle that respects our planet. Live for 10 months in the city with a heart! Zagreb is one of the top destinations in Europe, a large and dynamic city which managed to stay romantic and safe. Show and improve your photography and video making skills with the help of our PR & marketing team. Learn how a good functioning NGO works in our green oasis office in the very centre of Zagreb with the most beautiful terrace garden! During selection an advantage will be given to motivated participants facing fewer opportunities. • Personal project. All volunteers will have an opportunity to focus on development of a personal project, that will contribute to their satisfaction and support their learning goals. More information about the project, as well as more information about O.A.ZA you can find HERE! 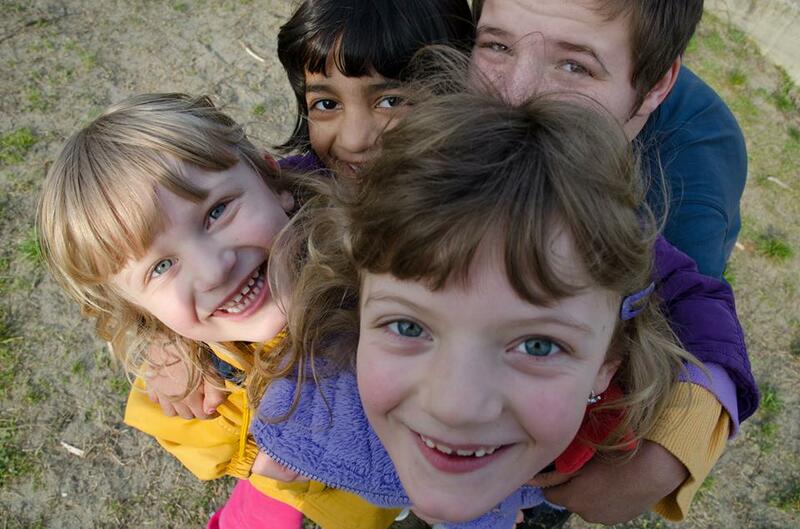 Become part of SOS Children’s Villages Hungary! We are looking for a Learning Facilitator! SOS Children’s Villages is an independent, non-governmental international development organisation which has been working to meet the needs and protect the interests and rights of children since 1949. There are ca. 400 children and young people living in the care of SOS Children’s Villages Hungary, out of which 100 live in the Koszeg area with 10 foster families and in the Youth Facilities. The position is part of a project funded by the European Union. The selected person will take the role as a volunteer for 12 months, however, all necessary expenses are covered, such as travel costs, local transportation costs, accommodation, meal allowance, insurance (including dental and ophthalmological treatments), training courses, language course and pocket money. Project duration: 2018. 09. 03 – 2019. 09. 02.
are younger than 30 years-old, and has a permanent residency permit in his/her sending country. Please send your CV in an e-mail to boglarka.meggyesfalvi@sos.hu with the subject ’EVS in Koszeg_your name’, telling us how you match the requirements and what makes you the great learning facilitator we want to have around! Posted by Atanaska at 00:27 Volunteer activities Comments Off on Become part of SOS Children’s Villages Hungary! The training course is the main activity of the Small Steps project aiming at increasing the capacity of 10 European organisations in becoming actors of change in their local environment and working more effectively and actively for a more inclusive and prejudice-free Europe. 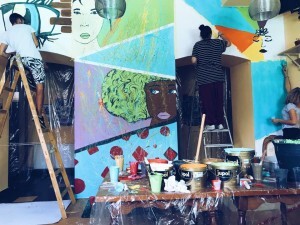 The event will gather 28 participants from 9 European countries – activists and educators from Belgium, Bulgaria, Germany, Greece, Hungary, Poland, Slovenia, Spain, and Sweden. We believe that the TC will increase your self-confidence, make your work more efficient, and help you have a greater impact on the surrounding society and reality! 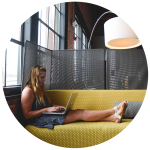 The working methods used will base on the principles of adult learning, creating a stress-free and motivating environment where the human brain has a full capacity to learn. You will often work in smaller groups in order to achieve best results. All the methods will encourage active participation, creativity, initiative, and responsibility for one’s own learning process. You will be awarded with a training completion certificate, issued by Service Civil International, as well as with Youthpass certificate. The applicants are asked to complete an online registration form. The deadline is 25th February 2018, 23:59 CET. All applicants will be notified on the results by 2nd March 2018. 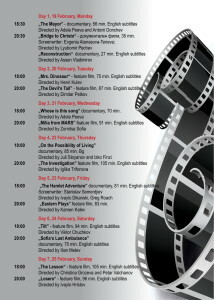 More information as well as the full program, you can find HERE. In case of any questions, please contact Natalie at longterm@cvs-bg.org! The idea for the project “Volume UP!” was created based on the so far success of the previous project Urban life and also according to the needs of young people in our local environment, which is increasingly seeing the decline of urban culture. Urban culture is the culture of cities. It could be described as a large number of very different people in a very limited space – most of them don’t know each other. Everyone motivated and enthusiastic about urban culture, who is also interested to work with kids, youngsters and other local artists and local people. Volunteers between 18 – 30 years. The project will actively engage two young people in the programming of Erasmus +, which will be between 18 and 30 years of age, and gender balanced (1 male and 1 female person). Transfer of information about tools for the recognition of non-formal skills that are internationally recognized, for visitors of MC Krsko and the other young people. Discussions of young people on the topic of EU residence status and needs of young people in general. Sharing photos from the project activities on Facebook in all partner environments. Organizing activities for young people (mostly for unorganized youth who are a part of different subcultures). Bringing own ideas to the organization and execution of the festival Generator (festival of urban culture) from the two participating volunteers. Gathering ideas and suggestions to improve the situation of young people belonging to various alternative cultures, which will be reasonably defined and edited by the volunteers, and forwarded to the stake holders in our local environment. Personal projects of each of the volunteers who have not yet been fully defined; however, their project will be useful and widespread. New projects with partners in the future; reciprocal exchange of young volunteers at the annual level. Reusing a black spot in the municipality (for example drawing a graffiti on the wall, with logos of Erasmus+, Movit, MC Krsko and the title of the project). You will be staying in the new youth hostel located inside the youth center (separate EVS apartment, furnished 4 single rooms , 2 bathrooms, 2 kitchens, 1 living room , air conditioned), each will have its own room and you will share the apartment with another volunteer, the living room will be shared with three volunteers. You will receive a monthly deposit for food, which will be determined in the activity agreement, along with pocket money, which comes to about 285 eur per month. Upon arrival you will attend an on arrival training that will be organized by NA, where all the EVS volunteers from Slovenia come and get to know each other and the EVS program in general. You have the right to a mentor, this will be volunteers who have experience with EVS and they will individually meet with the EVS volunteers, they will introduce you into life in a new environment, help you build a social network. You will be a part of a Slovenian language course weekly (1,5/week).As the Youth center Krsko is located in the very center of Krsko, the local activities can be reached by foot or bicycle. For the remote activities public transport will be used (paid by the hosting org.). If you are already interested in applying, then send your motivation letter and CV in English to Natalie at longterm@cvs-bg.org as soon as possible, but not later than 10th of June! Are you ready for the new voluntary season? Because we are! 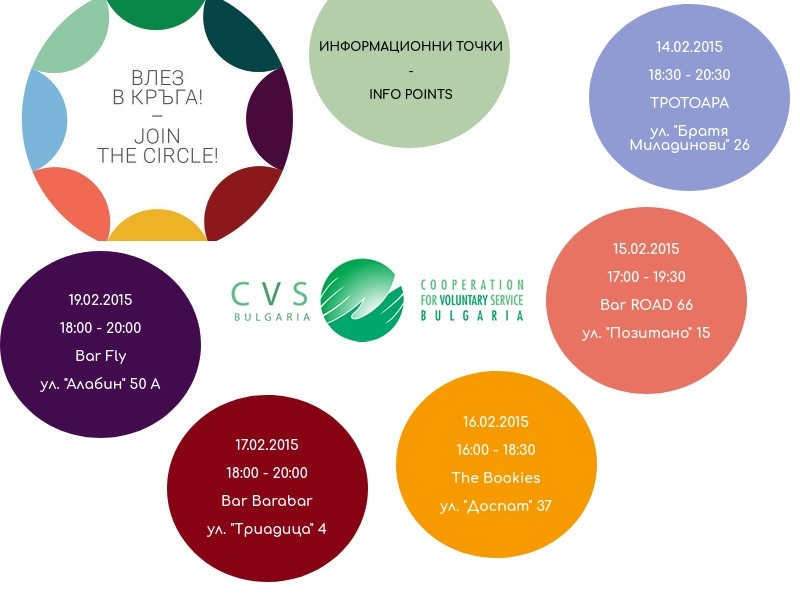 We have prepared for you a variety of opportunities, in which you can join and a lot of exciting stories of volunteers, who have already taken part in the activities of CVS-Bulgaria. During our info-points we will talk with everyone individually and explain what an international voluntary workcamp is, what a youth exchange is, what a training course and EVS are as well as what the free positions at the moment are. 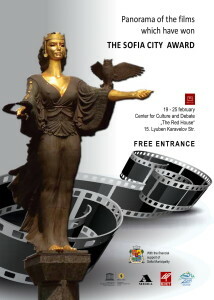 We will also discuss some of our activities in Sofia International Film Festival, the Refugee Project, Baba Marta Burzala 4, Vlahi Nature School as well as many others. Bring friends with you as well if they also want to learn more about the meaning of volunteering and its benefits! If you have any questions, please contact Nassi at communication@cvs-bg.org! We will expect you in our wonderful locations! Do we know the people who live in Bulgaria? What do you know about the different cultures and nationalities around you? Do we know which is the Armenian Christmas, what do people cook for Bango Vasil and how is the Mimuna celebrated…? 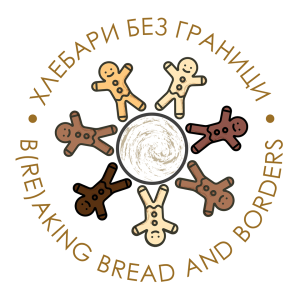 We are inviting you to become part of our project ‘Bread makers without borders’ (B(re)aking Bread and Borders) and to get involved together with young people from different ethnicity in Bulgaria, to get to know them, to hear their point of view, to share your point of view. 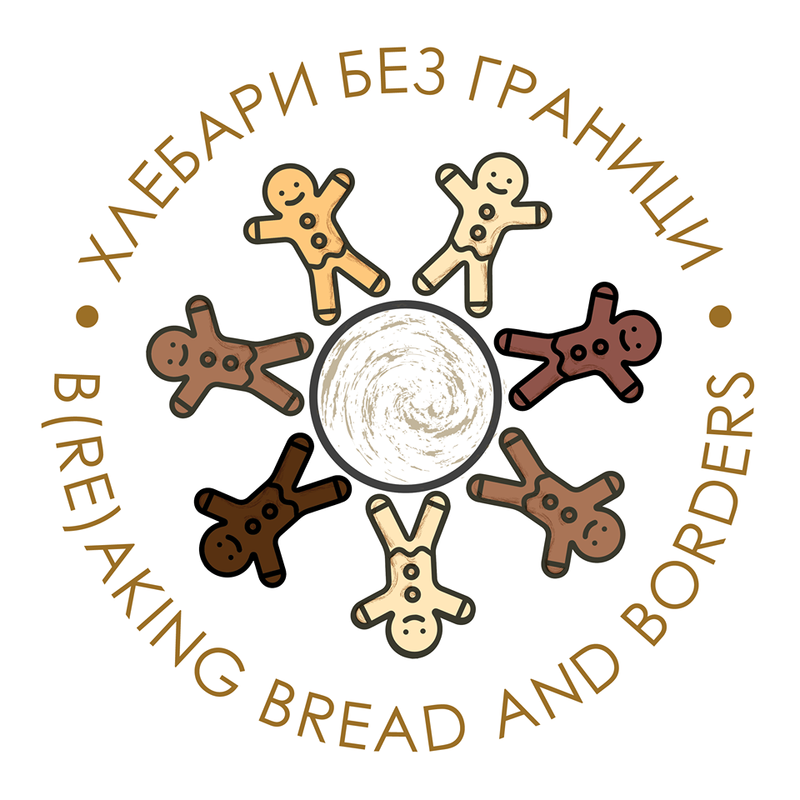 From February till September you can participate in 3 meeting in the Sofia Bread House – we will make bread, will create music and will play the board game ‘Bread makers without borders’. 5 mixed groups will be organized: Arab-Bulgarian, Armeno-Bulgarian, Jewish-Bulgarian, Roma-Bulgarian, Turkish-Bulgarian. In which one of the groups 20 people will take part – 10 youngsters from the different community each. In order to get involved, you have to be between 16 and 26 years old and to be able to participate in all 3 meeting, as well as in the Open Doors Day (21st October 2018), when we will gather all, we will share photos, songs, experience and bread! Register by writing to sandra@bread.bg, 0885 039 071 or zdrava@bread.bg, 0898 875 054. Sofia Bread House is located on Ekzarh Yosif 103 str. (behind the Sofia Mathematics High School).